You’re invited to Preservation Month Happy Hour! Friday, May 10, 5 p.m. at 522 South Loudoun Street, Winchester. National Preservation Month is celebrated every May across America. 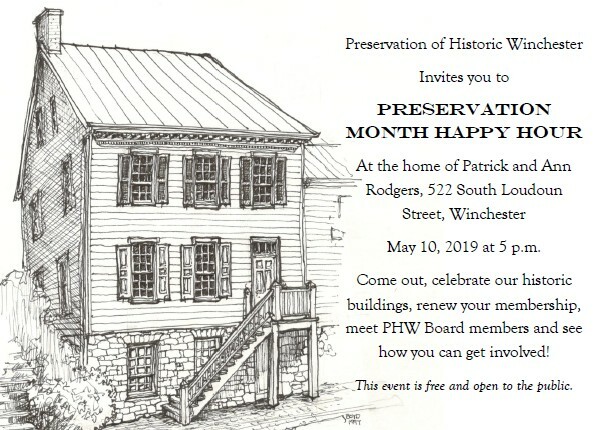 This year, PHW will be hosting Happy Hour on Friday, May 10 at 522 South Loudoun Street in Winchester. This free event is open to the public. If you are interested in old buildings, the historic district, learning about our organization and events, meeting some PHW board members and staff, and getting involved in PHW, this is the event for you. We know most of our members renew in the spring and early summer, so we can take dues (cash, check, or card) at this event. Printed invitations will be going out in about a week, but we encourage you to start spreading the word now. If you can’t attend, pass the invitation on to a friend! You can also find this event on Facebook. Do you know of a person or place that deserves recognition for their preservation contributions in Winchester or Frederick County, Virginia? PHW is now accepting nominations in several categories. Click for a PDF of the nomination form. You may nominate yourself or any project for consideration, and you may make more than one nomination. Work should be complete or near complete at the time of nomination. Winners will be announced and given a few moments to talk about their project at PHW’s Annual Meeting, likely to be held June 23 or 30, 2019. There are a variety of categories to choose from, so see if you can give a boost of recognition to a project that may have gone under the radar this past year. Remember to get your forms in by May 31 to the PHW office, 530 Amherst St., Winchester, VA 22601! Happy Friday! 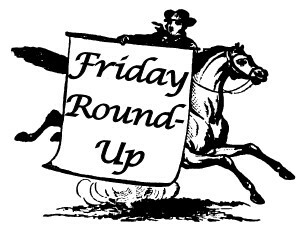 We have a different sort of themed post for you this week with books and articles, both historic and fictionalized, to read concerning Lord Fairfax, the proprietor of the Northern Neck of Virginia. 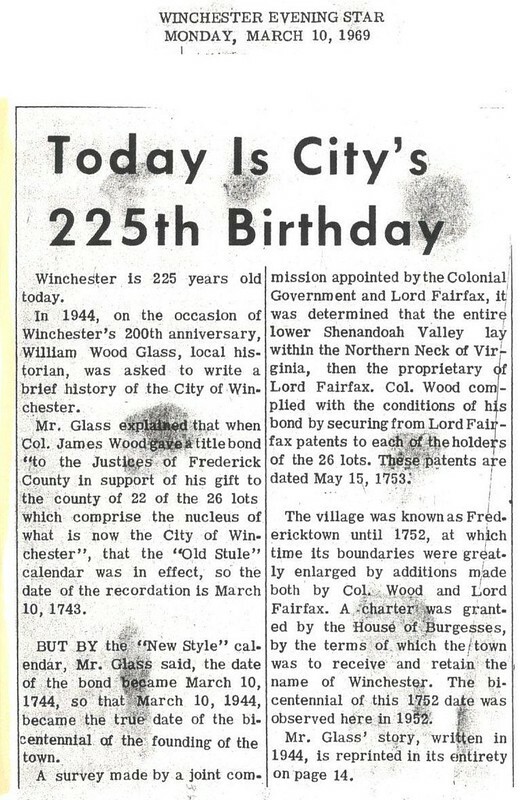 Romance Around Lord Fairfax This newspaper article is a reflection of the life of Lord Fairfax near the 120th anniversary of his death. It focuses more on his early life in England and what led him to relocate to the colonies. While the account is characteristically sentimental of the times, there may be a few details in this account you have not heard before. Some of the text is similar to the account that appeared in Frank Leslie’s Sunday Magazine Vol. 25, recounting a history of the Fairfaxes of Virginia (p. 435). Lord Fairfax; or The Master of Greenway Court It is possible if you’ve been on some Winchester walking tours, you might recognize the name John Esten Cooke but have absolutely no idea why he is locally remembered. While he is primarily known outside of Winchester for his Civil War themed romances, he also wrote a number of other historical fiction books and novellas set in the area focusing on our colonial roots. His earliest work was derivative of James Fenimore Cooper down to the book title and cast of characters, and as such his stories may not appeal to everyone for a number of reasons. 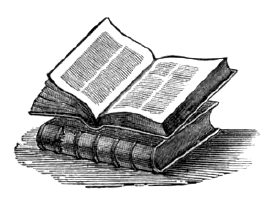 If you enjoy your historical fiction with a healthy dose of Victorian fantasy, you can read the full book through the link above, or scroll through a bit for the local scenery descriptions. The Story of the Expedition of the Young Surveyors, George Washington and George William Fairfax is a slightly less fantastical recounting of the surveying expedition for Lord Fairfax, but the images in the booklet may be of more interest than the text. A few of the illustrations have ended up in PHW’s collection on Lord Fairfax, so it was a pleasant surprise to find their source. 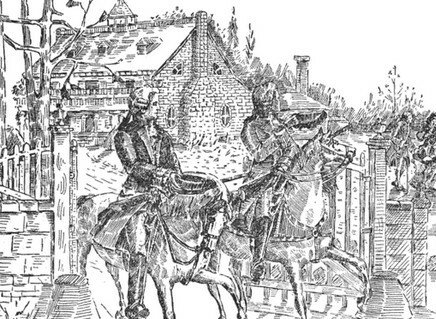 The author, W. H. Snowden, also wrote and revised several editions of the tourist handbook Some Old Historic Landmarks of Virginia and Maryland, which likewise contains stories and descriptions of Lord Fairfax and Greenway Court. 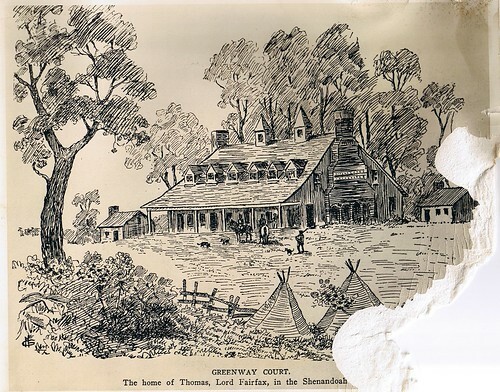 Illustration of Greenway Court, the home of Lord Fairfax in Virginia, drawn by Miss Eugenie De Land. Found! 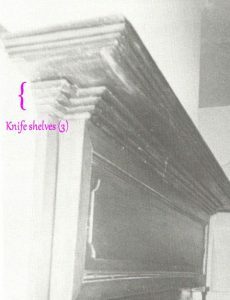 This article was alluded to at the end of Sandra Bosley’s presentation on the Conrad House in the Godfrey Miller House summer lecture series last year. You might remember that we were unable to find the article to confirm details prior to the presentation. The article turned up last week in an unexpected spot. 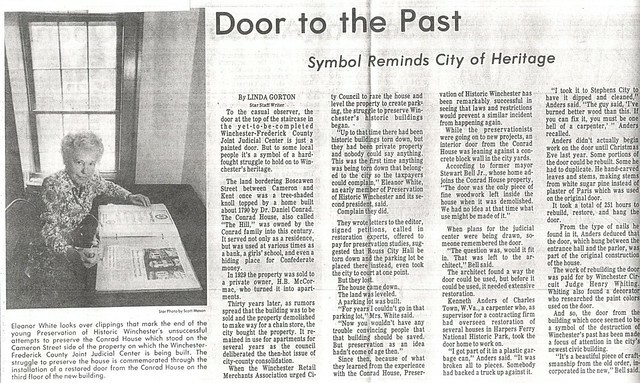 If you want a little backstory on how this door was saved and placed in the Joint Judicial Center, we finally have it for you! Why America’s New Apartment Buildings All Look the Same via Bloomberg As the subtitle adds, “cheap stick framing has led to a proliferation of blocky, forgettable mid-rises—and more than a few construction fires.” The article, despite the somewhat alarmist headline, is a realistic look at the new development encroaching on our historic districts and urban centers. Are you interested in a hands-on preservation career? There will be positions opening soon in the Traditional Trades Apprenticeship Program (TTAP) through the National Park Service near us. TTAP provides hands-on, historic preservation trade skills training during an intensive six-month learning-while-working experience. Upcoming positions will be available at Manassas National Battlefield Park, Gettysburg National Military Park, Antietam National Battlefield, and the Historic Preservation Training Center. Learn more at their website and check out the positions open now. How Do You Preserve History on the Moon? That’s not something you often think about in your average day of historic preservation, but if you’re interested in preservation of this landmark scientific achievement, this is an eye-opening article and well worth the read. The challenges here present new challenges, but seeing it be discussed at all is an encouraging sign. If it’s hard to get a quiet hour in the middle of your day for an interesting webinar, the National Trust has your back with The Rosenwald Schools GIS Mapping Project. This webinar from January 30 is now available for review any time, and additional questions that were not answered during the presentation are addressed in the linked blog post. If you appreciate a bit of historical sleuthing, you might enjoy the story of a serpentine-backed blue damask sofa gifted to George and Martha Washington. A recreation of the sofa has been added to Mount Vernon for guests to view it in all its 1760s fashionable glory. If you are doing research on African-Americans, you may want to check out the newly-merged databases now available at the Virginia Untold website. As of a quick check this morning, there are ten records for Winchester and 712 for Frederick County in the database. To come full circle, you may also want to check out Savor Your Small Parcels, and Create More of Them. There is typically a bias against development of lots that are found in urban centers – lots around 50 x 100 ft. – and pressure to combine smaller parcels into large scale development packages. The author Kevin Klinkenberg writes of his time in Kansas City: “We had developer clients that were building homes and small mixed-use buildings on greenfield parcels of that size (so we knew what was possible) but those types of projects were often dismissed as irrelevant by planners and economic developers working in larger cities or inner-city locations. ‘That just won’t work in this corridor/neighborhood/city/market’ etc etc. Status quo bias is very difficult to overcome.” There is more information linked in his article about the “Lean Urbanism” approach that can utilize these smaller parcels into resilient development typical of our historical building patterns in cities.